Termicide is the leading provider of Pest Control Management Treatments to the real estate industry. Termicide specialises in servicing the rental & sales market with over significant experience in dealing with tenants, vendors & purchasers. Termicide Pest Control provides the ultimate peace of mind to all. We have a reputation of providing value, reliability, trust and great service. General Pest Control treatments – Cockroaches, Silverfish, Ants, Spiders, Rodents. Termites found in a new home can be very damaging and costly and can easily go undetected. These termite infestations can cause serious damage to your home or building and often the damage is not covered by insurance. 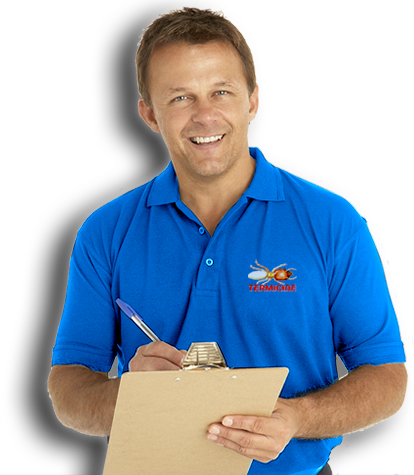 Termicide’s Pest Management inspections are comprehensive and carried out by our highly qualified staff. Full exterior inspections including yard areas, fences, decking, shed and workshops. Full interior inspections starting at the door step and finishing with a thorough roof space inspection – YES we get into your roof! Full findings report provided including photos provided. All delivered professionally and on time. You’re in safe hands with Termicide Pest Control.